I have been wanting to increase the reach of this blog through a Facebook page. However I never felt comfortable with the phrase "Become a Fan" -- so I decided not do it until something better comes up. 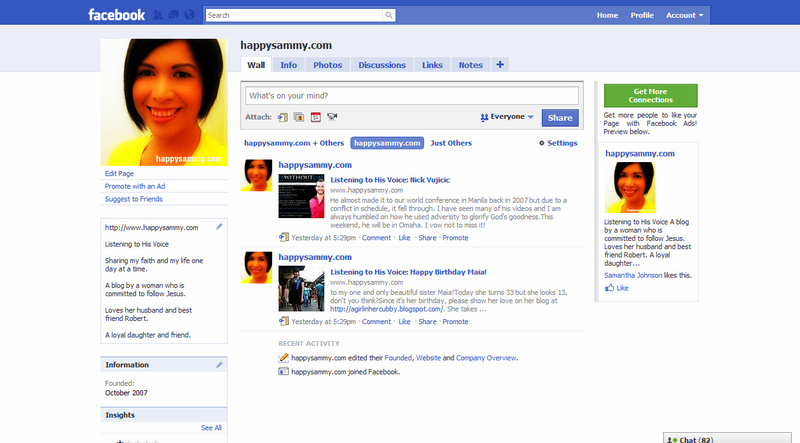 Now that Facebook has unveiled a new feature to the "fan" section of its site, I started one yesterday. The terminology "Become a Fan" is now replaced with a "Like" button -- something I am much more comfortable with. 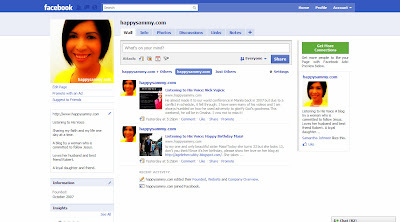 Therefore, if you "like" this blog, I humbly invite you to check out happysammy.com's page on Facebook. Click on the "Like" button and you will get quick updates, newly discovered links, photos, videos and important thoughts that I would like to share with you. I have so many insights and ideas that go through my mind that do not necessarily warrant a full-length blog entry. I hope to discuss them with you through this page.